2. " 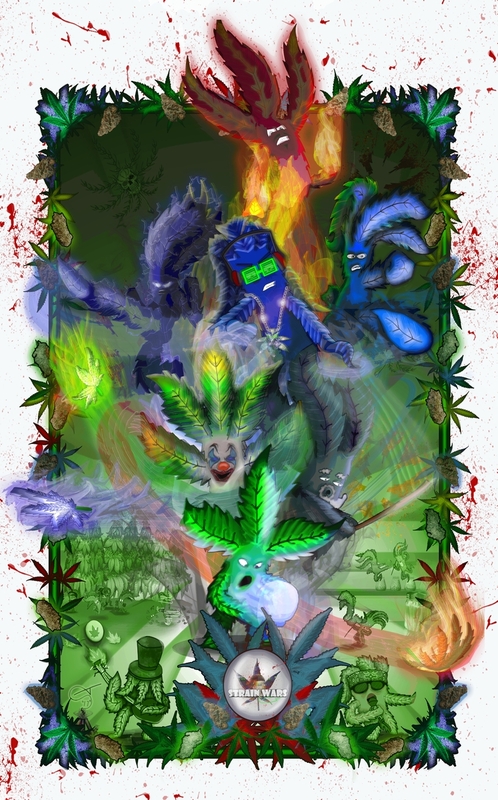 Battle of the Strains"
Due to the marijuana act of 1937 an experimental botanist is forced to a remote island where he begins to perform experiments on different strains of cannabis. After decades of experiments the strains have become self-sufficient caring for the next crop and continuing their circle of life, but the one thing that steps in their way is The Curators annual tournament that pits strain against strain in a deadly tournament to see which is top strain. 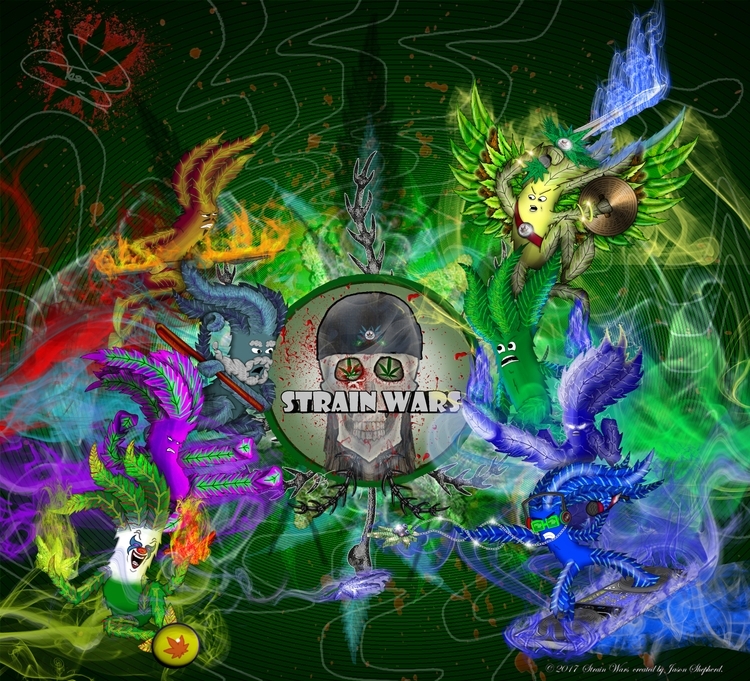 Strain Wars is a collection of characters inspired by real life strains of cannabis. Jason Shepherd is a 2D/3D illustrator and animator who has designed several products for Strain Wars. 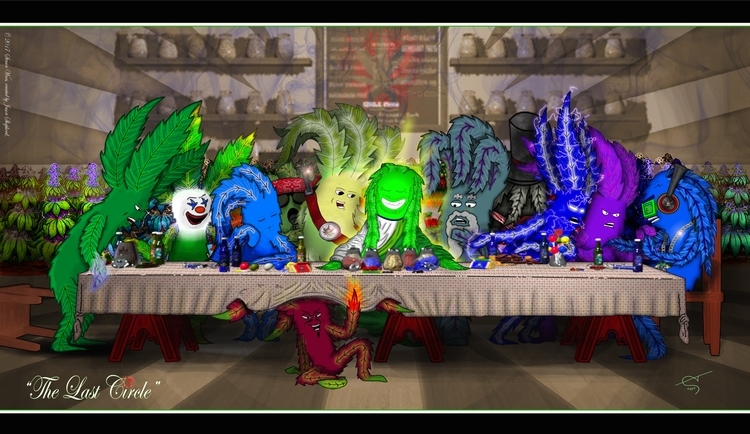 From playing cards, board-game, Apparel, smoking accessories, and currently in development a Strain Wars video game. Strain Wars can also be found on Kickstarter.